A Hall effect sensor is a transducer that varies its output voltage in response to a magnetic field. Hall effect sensors are used for proximity switching, positioning, speed detection, and current sensing applications. 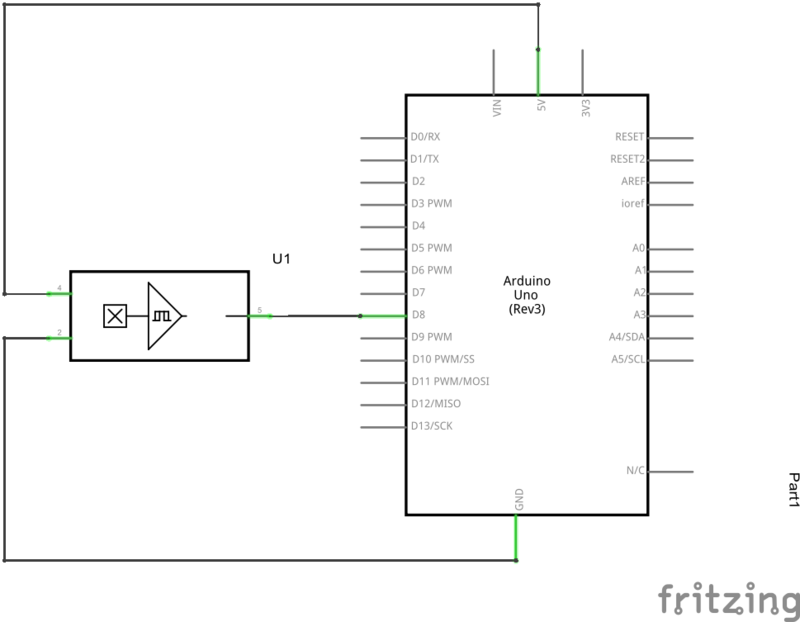 In its simplest form, the sensor operates as an analog transducer, directly returning a voltage. With a known magnetic field, its distance from the Hall plate can be determined. Using groups of sensors, the relative position of the magnet can be deduced. Frequently, a Hall sensor is combined with threshold detection so that it acts as and is called a switch. Commonly seen in industrial applications such as the pictured pneumatic cylinder, they are also used in consumer equipment; for example some computer printers use them to detect missing paper and open covers. When high reliability is required, they are used in keyboards. Hall sensors are commonly used to time the speed of wheels and shafts, such as for internal combustion engine ignition timing, tachometers and anti-lock braking systems. They are used in brushless DC electric motors to detect the position of the permanent magnet. A Hall effect sensor may operate as an electronic switch. It can be operated up to 100 kHz. It does not suffer from contact bounce because a solid state switch with hysteresis is used rather than a mechanical contact. It will not be affected by environmental contaminants since the sensor is in a sealed package. Therefore, it can be used under severe conditions. 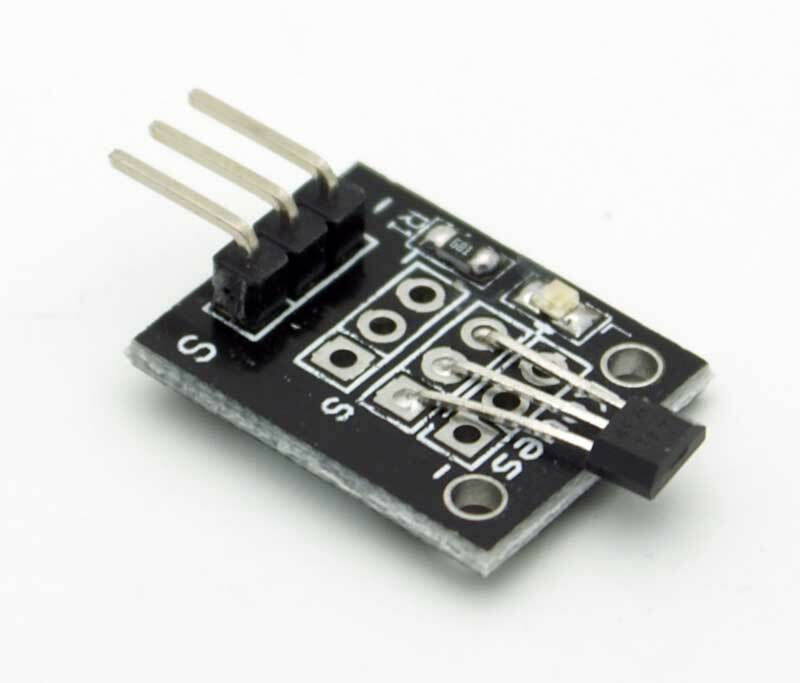 The KY-003 is a Hall effect sensor. If no magnetic field is present, the signal line of the sensor is HIGH . 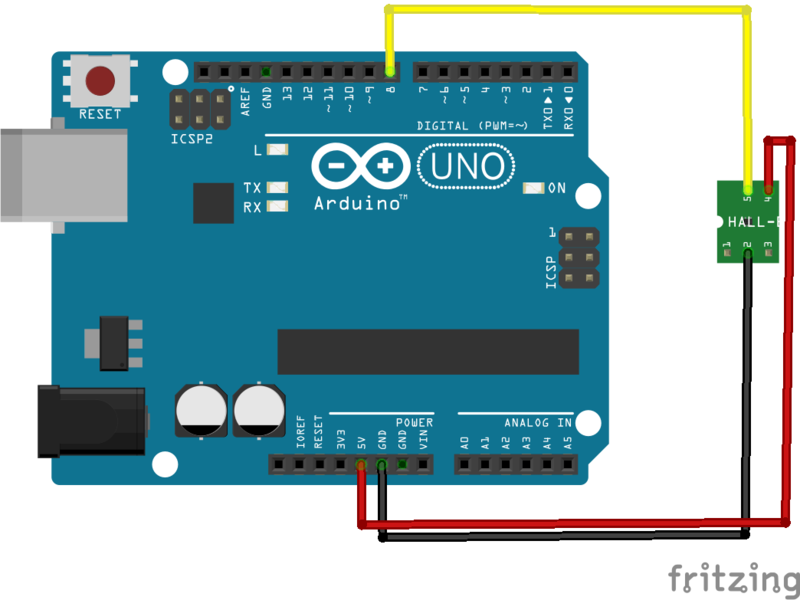 If a magnetic field is presented to the sensor, the signal line goes LOW, at the same time the LED on the sensor lights up.